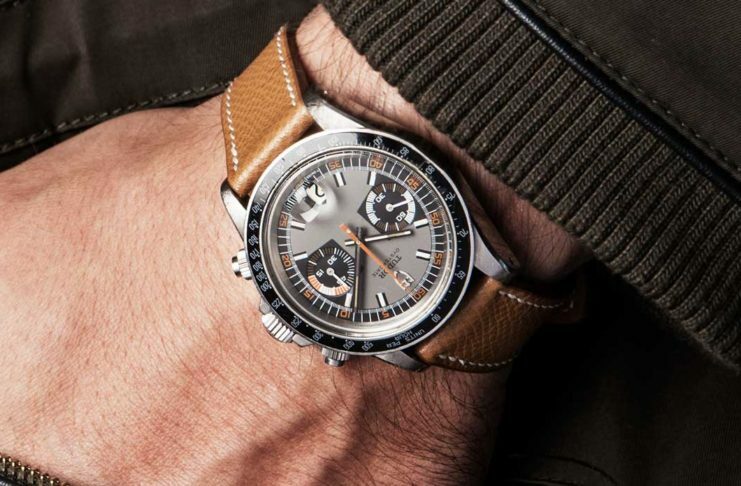 7149 Tudor Monte Carlo Chronograph - the rare acrylic tachymeter Monty. 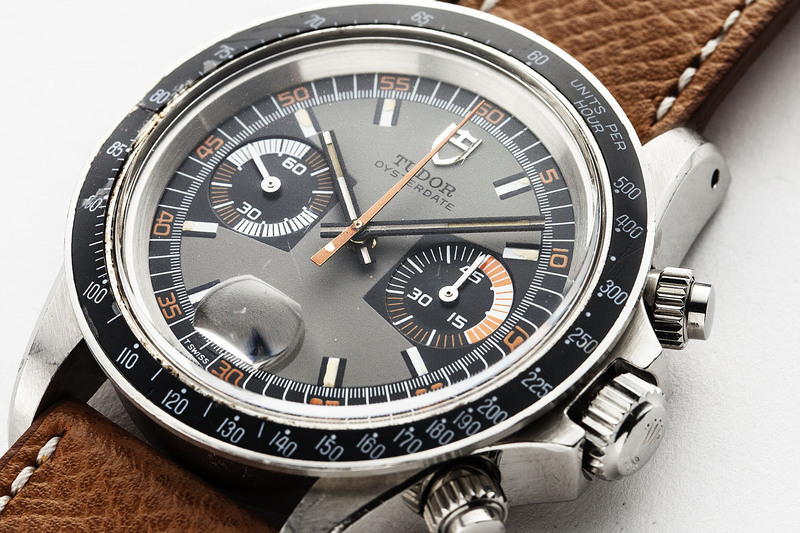 The early two-register Tudor chronographs are becoming hot property in the vintage watch world. This Monte Carlo is in original, untouched condition and its daring dial layout and colour scheme will make a real splash on the wrist. Our Monte Carlo has a strong case with original bevels still evident and great ‘square’ crown guards. The dial is in great condition with the vibrant orange tones remaining but some lume loss evident on the hour markers. The rare original acrylic bezel has some cracks at 9 o’clock. Our pictures are an important part of the condition report – please scrutinise them in detail. For any questions, please contact us at: shop@revolutionmagazines.com. 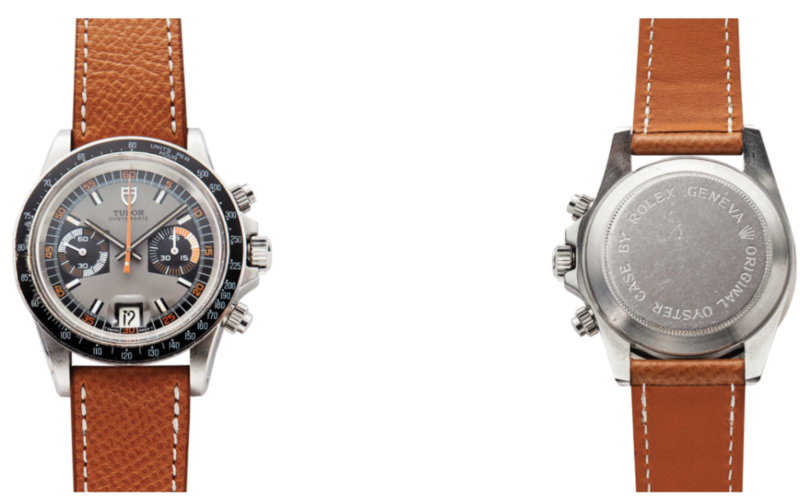 It was this series that became known by collectors as the original Monte Carlo watches, as the dials had a resemblance to the roulette tables of the famous casinos of Monte Carlo. 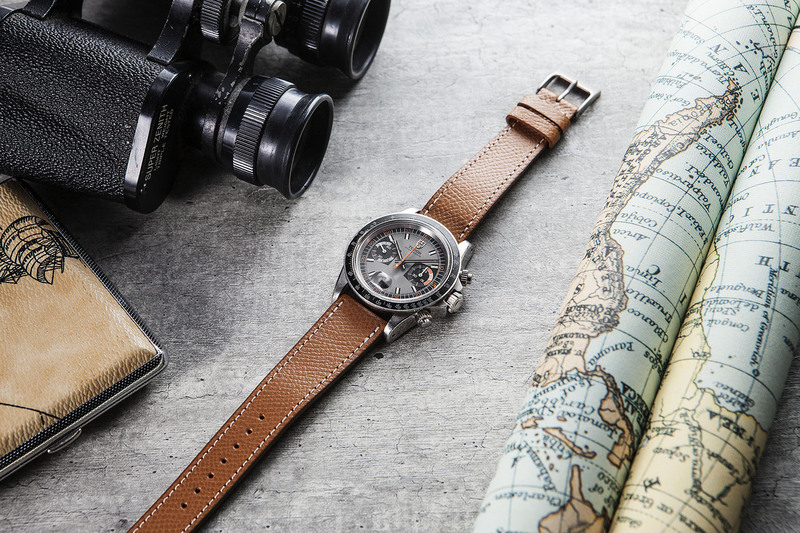 The use of bright colour was quite pronounced, with bright orange elements on both chronograph registers as well as on the outer seconds' markers. The 7100 series remained in the Tudor catalogue until approximately 1977. 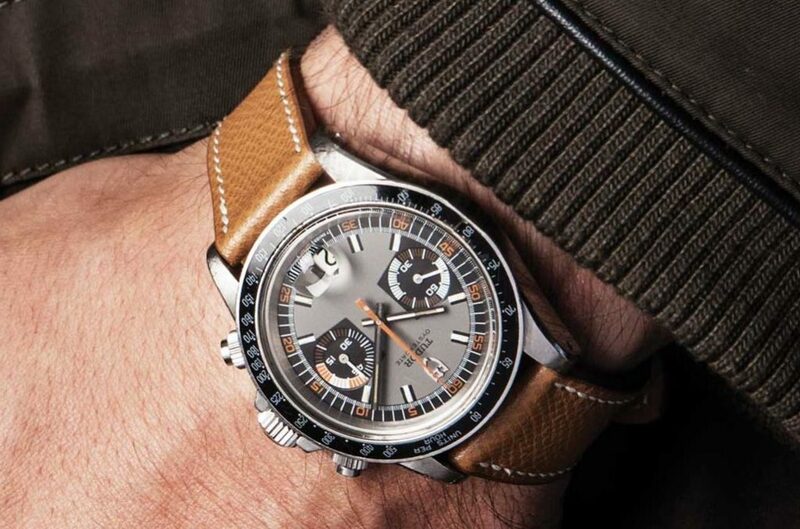 The 7149 with acrylic tachymeter bezel is the rarest reference as the bezels were quite fragile and prone to damage. The manually wound Tudor-modified caliber 234 was a high-frequency movement with 21,600 beats per hour.